A recent opinion piece, published on the EJO website, offered a rosy picture of the state of media freedom and of democracy in Hungary – a view that few analysts would share; in fact, many would argue that both media freedom and democracy have in recent years been deconsolidating and Hungary is being Putinised. This post will attempt to add what I believe is missing from the previous article. Tóth is certainly right when pointing out that the privatisation of some of the print press took place under controversial circumstances; it occurred between the two turns of the first free legislative elections in March and April 1990, when the old political elites were no longer in control, and the new ones had not yet assumed office. He is without doubt also right when noting that the money foreign investors paid for some of the national and regional titles was channelled to the reformed communist party, re-established as the Hungarian Socialist Party (this transfer was later confirmed by a former party cashier). And he is most certainly right when observing that western multinational companies – which he refers to as “grocers” – were seeking profit. Yes, they were. What else would they be after? But Tóth does not tell the other side of the story. The Hungarian press was at the time in a steep crisis – crisis being defined here as a period to be immediately followed by radical change. The political transformation had created an information vacuum and therefore had temporarily boosted circulation figures, and the courageous efforts of some journalists to promote democratic change was being honoured by a great deal of social prestige with the audiences. Yet journalism was at a crossroads and encountered a threefold challenge. First, state subsidies were coming to an end and a competitive newspaper market was emerging; in an effort to survive, publishers had to find a new, viable, business model. Second, the technology and infrastructure of the entire press was lagging behind; computerised editorial and printing devices were still unknown in Hungary. Last, and perhaps most importantly, journalists, once the ‘soldiers of the party’ had to abide by new professional standards and turn themselves into ‘watchdogs of democracy’; political loyalty was no longer enough for them to keep their jobs (or so it seemed at the time). These economic, technological and professional challenges, plus a political landscape in transformation, were all part of the context against which the role played by western investors must be assessed. Under such circumstances, selling outlets to multinational publishers not only made sense, but appeared to be the only solution. Only powerful western companies could bring the international experience and know-how that would help newspapers survive in a competitive market. Also, their financial investments were vital for production technology to be modernised. Last but not least, foreign ownership was widely seen as a guarantee of political independence; many of the collective contracts at the time enabled editorial boards to preserve their professional autonomy, while the new owners’ search for profit made sure that they would not interfere with content, as long as business was going all right. True, the Socialist Party benefited from the transfer in at least two ways: it got the money (which was used to finance its 1994 election campaign and would eventually bring it back into power), and it could make sure that most of the press would not come to be controlled by its political rivals after the 1990 elections. But the truth, I believe, is the opposite. It is not the withdrawal of foreign investors from the country that is encouraging government to take control of the media, but government interference in the media that is making foreign investors leave. Interference that includes a controversial press and media law, party capture of the state media, a wide-scale use of ‘public service’ outlets as agents of pro-government propaganda, the politically motivated redistribution of state advertising, a special tax on advertising targeting RTL Group, one of the most ardent critics of the government, and a general lack of government transparency. These unwelcome developments create a particularly unhealthy business environment at a time when the press is becoming a loss-making venture around the globe; the 2008 economic and financial crisis, the rise of the new media and the spread of free dailies all undermine old business models. Yes, multinational investors are fleeing countries where the media markets are distorted by political and domestic lobby interests – just see what happened in Romania and Bulgaria in recent years. And they would be foolish to do otherwise. So, is it really foreign investors that are damaging the free press in Hungary? 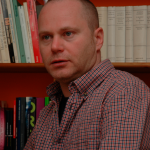 Péter Bajomi-Lázár is the editor of the Hungarian media studies quarterly Médiakutató and a former Senior Research Fellow at St. Antony’s College, University of Oxford. His latest book is Party Colonisation of the Media in Central and Eastern Europe (Budapest & New York: Central European University Press, 2014). » Media and Politics » Hungary: Who Damaged The Free Press?